Looking for a reliable Electrical Contracting Team? Here at DIP Electrical we cover Industrial, Commercial and Domestic electrical repairs and electrical Installations. This means that when you engage with our services, you can be sure we’re both fully up to speed and working to the latest requirements. I have been very impressed with your friendliness and competent work. I would go as far as saying you are very professional and do excellent work. The work you achieved at out Manchester depot, is outstanding. I would recommend you to do any electrical work that we may need in the near future, as well as promoting your workmanship to our customers. Thank you! I have recently used the services of Dipak Haveliwala from Dip Electrical on my house extension. The initial electrician who installed the work , didn’t provide the electrical certificate to verify his work and therefore stopped me from being able to gain my completion certificate for my extension. Dipak was brought into verify the old electrician’s work and provide the necessary sign offs for the extension. Not only did he provide the necessary certificates , he explained everything he was doing along the way in simple terms, to make sure we understood what he was doing. He didn’t try and rush through the job, he was very thorough and helpful , leaving instructions of next steps. Within 48 hours , he had completed and sent the certificate to me with all required information. He even sent the certificate on a Sunday. Very impressed and would recommend him to any customer. 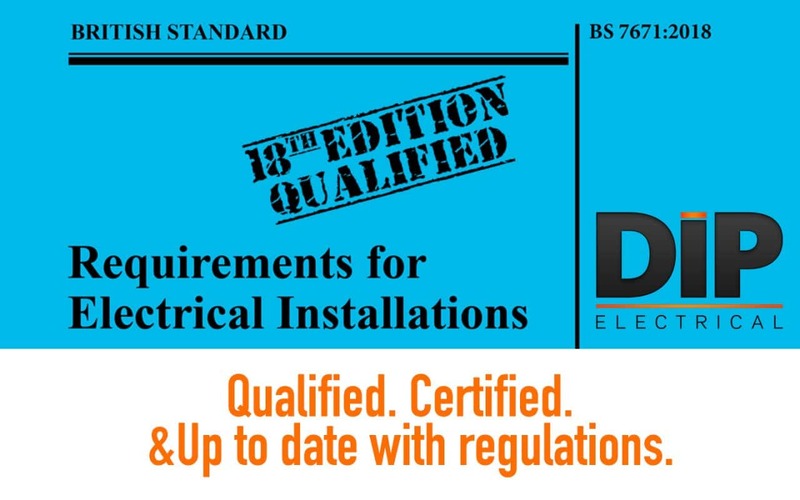 Dip Electrical Contractors is a small family run business based in Ashton-under-Lyne, Tameside. We take pride in offering a quality local electrician service.